Are the people of this area not writing any letters? This page is now being taken up by MPs, council leaders, etc. A letters’ page is our chance to write letters, not to read press releases from those who should be governing, not composing letters for this page. 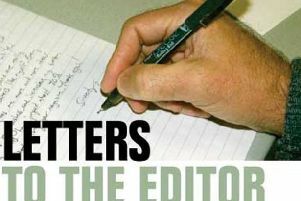 Come on readers, let’s write and take our letters’ page back.